Auto accidents in Atlanta happen every day, injuring and killing thousands of people. When those accidents are caused by the negligence of another person, that is where we come in. Injured people and the families of those killed can file a claim or a lawsuit against the responsible party to recover medical expenses, lost income, and pain and suffering. To learn if you are eligible to file a lawsuit, speak with an attorney who understands the complexities of car accident claims. Contact Ken Traub to learn if you have a case. Negligent operation of a vehicle can take many forms. Our law firm has helped people injured or the families of those killed because of: Drunk driving, Excessive speed, Cell phone use, Inattention, Failure to adjust to conditions and Hazards on roadway. The attorneys at our Atlanta law firm have successfully represented many clients over the years in car crash cases. We have litigated a lot of cases over the years, settled plenty of cases for the insurance policy limit, and taken part in many jury trials. Our law firm has the experience and knowledge you need after a serious auto accident. Find out about your options and your rights, call Traub Law Firm today. Our car accident lawyers have been leaders in the field of personal injury law particularly because of our skilled handling of car accident cases. We are effective and efficient, obtaining compensation for clients as quickly as possible. We know that injured people need payment as soon as possible, not next year. 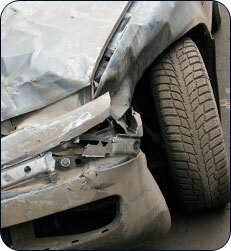 Our law firm has developed procedures that promote the speedy resolution of car accident cases. Because of our approach and our success with auto accident cases, clients recommend our law firm to friends, neighbors, and relatives. A majority of our cases come to us from happy clients. If you have been injured in a car accident or suffered the wrongful death of a loved one, contact our Atlanta law firm now.